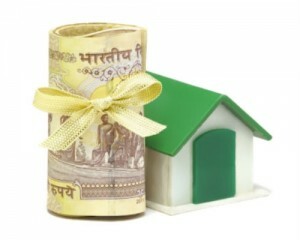 Union finance minister MR. Chidambaram has now declared an alluring discount for the housing loan borrower, which states that any person who is borrowing the first time house mortgage up to 25 Lacs rupees in the financial year of 2013-14 are now have been permitted an significant amount of tax rebate of interest up to Rs 1 Lac. Though this will give some relief to potential home owners of Hyderabad, but according to some expert views there was a possibility of making it much better. There still remains a query as in why the limit has been determined for only 25 lacs as declared by Mr. P Premkumar, president of Andhra Pradesh Real Estate Developers Association (APREDA). According to Mr. P Premkumar, the real estate values are low in the city of Hyderabad, and rates of interest vary between 10-10.25 per cent, therefore this could support housing and realty but because of the limit, this cannot be completely profitable. Finance Minister is quite sure that the decision will not only make housing at a reasonable range but also will guarantee increase in employment in corporate division. As per a city based builder, Mr. Shyam Sunder, this will be advantageous for both the salaried as well as biz class, and is the right verdict at this time for the city. But, some looks for more transparency as in why this is valid for the ones, who will be taking home loan for the first time, and if this is only valid for this fiscal year. Since, housing is a vital matter confronted by middle class, so this will surely diminish tax liabilities. According to N Shridharan, Bank Manager, Andhra Bank, the advantage will reduce tax load, and at the same time, will cheer more individuals to opt for loans, which, in due course, will result in an augmentation in interest income and the banking institution thus will earn more profit. Additionally, the boost in the demand for homes will, in order, augment the demand for cement, steel as well as personnel. As a result, the financial system will go up. « Why are Banks being So Careful in Sanctioning Home Loans?